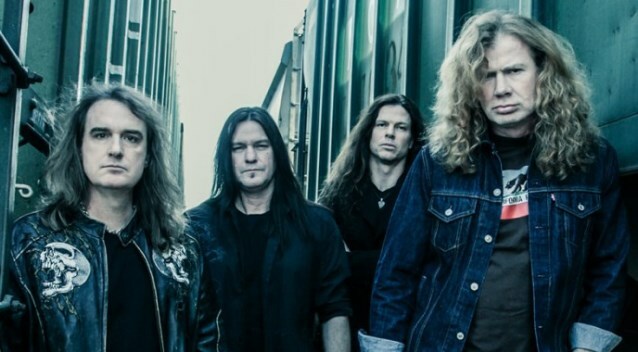 In November and December of 2012, MEGADETH blazed hot on the band's "Countdown To Extinction 20th Anniversary Tour", ripping through their entire double platinum 1992 album from start to finish before performing other classics from their recorded catalog. Recorded and filmed at Los Angeles' Fox Theatre last December, "Countdown to Extinction: Live" is a definitive document of the acclaimed, sold-out tour. In addition to MEGADETH's blistering performance of the entire "Countdown To Extinction" album, including the essential "Symphony Of Destruction", "Foreclosure Of A Dream", "Sweating Bullets" and "Skin O' My Teeth", "Countdown to Extinction: Live" features all of the other MEGADETH classics the band performed at the epic concert, including "Holy Wars" and "Hangar 18" from 1990's "Rust In Peace", "Peace Sells" from the band's influential, platinum-certified 1986 album "Peace Sells... But Who's Buying? ", and "Trust" from 1997's platinum certified "Cryptic Writings". 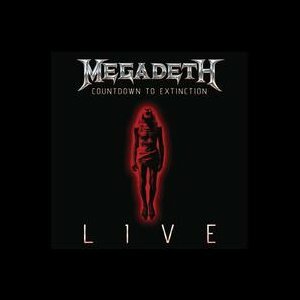 On September 24, "Countdown To Extinction: Live" will be released on CD, DVD and Blu-ray via Capitol.